We're going to the zoo, zoo, zoo. We're going to the zoo. 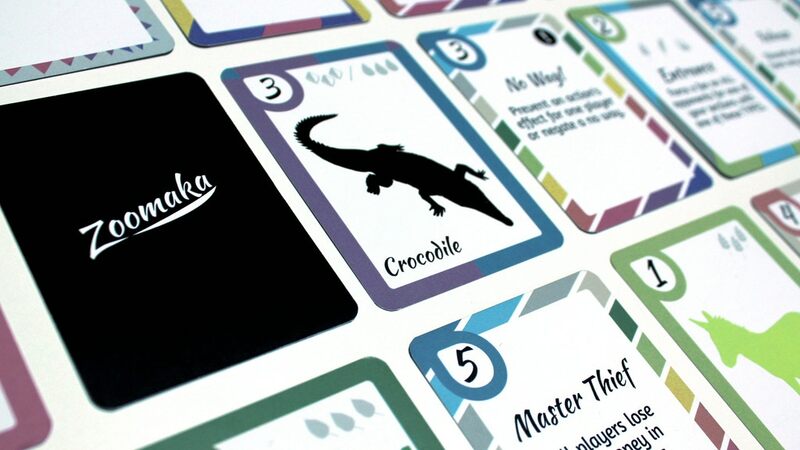 Zoomaka the card game is now live on Kickstarter. Zoomaka is a quick but strategic card game for 2-5 players. In Zoomaka players compete to be the first to open their zoo. The Kickstarter campaign's up and running now. They're already really close to their goal with still 20 days left to go.